We suffer from a massive oversupply of tired old ideas which have long outworn their utility, and a dearth of new pragmatic ideas founded on the present and near-term future. In terms of supply and demand, we face a complete oversupply of tired old ideas which have failed for fundamental reasons, and a strong unmet demand for new pragmatic ideas based on the present realities. At the risk of stating the "obvious" which is not at all obvious in the current politics of experience: if any of these tired old ideas retained any utility, they would have already worked. 1. The bottom 80% of consumers are over-indebted and have little assets or surplus income to leverage into more consumption. Please see The Root of the Housing Bubble Remains Unchanged (May 27, 2010) and The Stock Market As Propaganda (March 10, 2010) for more on these topics. 2. The 75% of U.S. households who are above the poverty line already own everything anyone could possibly need for a wonderful, fulfilled lifestyle. That is the dirty little secret not just of the Keynesian Idea but of post-industrial Neoliberal Global Capitalism. I devote a considerable amount of the Survival+ critique to the entire notion that "demand" for more stuff and services is actually as endless, beneficial and fulfilling as the relentless media-marketing machine would have us believe. 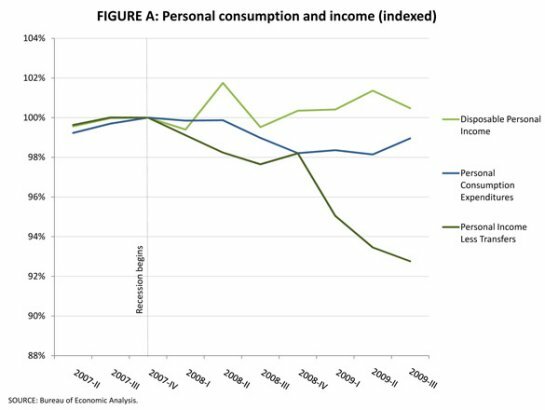 The causal connection between ever-rising consumption and individual happiness is actually weak to non-existent; beyond a rather modest level (clean water, warm place to sleep, sufficient calories to eat, etc.) then the factors which leverage human happiness and fulfillment are relationships (friends, etc.) and meaningful work. 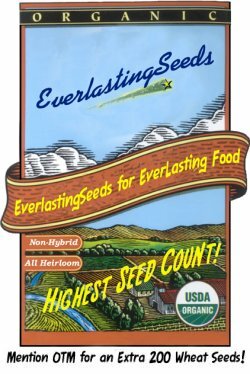 So the explicit premise of the entire Keynesian Project--that private demand for more consumption is the foundation of "prosperity," and thus all we need to do is lavish enough money on consumers to spark their insatiable appetite for more, more, more of anything and everything--is doubly bankrupt: there are limits on private "organic" demand (i.e. demand which isn't created by giving everyone $3,000 to buy a new car, etc.) both financially (most American households have too much debt and not enough surplus income and/or assets to justifiy more borrowing and splurging) and intrinsically: another thousand songs on your iPod, another pair of shoes, another session at the nail salon--none of it actually adds much to human fulfillment or happiness. Beyond a modest level, consumption is the classic example of diminishing returns: you keep spending more but enjoying it less. At the end, ennui, alienation and exhaustion replace enjoyment. An addictive cycle of consumption, dissatisfaction and a derangement devoid of self-awareness takes hold. Indeed, it can be argued that our entire economy of consumption is more a systemic cultivation of addiction than a system based on fulfilling human needs and "the pursuit of happiness." So many proponents of the Keynesian Idea refer back to the 1930s as the testing field for their "solution" of fiscal and quantitative stimulus (easing of interest rates and availabililty of credit). Yet so many fundamental factors in the present were not factors in the 1930s. To name but a few: global wage arbitrage was not much of a factor, and it certainly is a key determinant of U.S. household income now. If the U.S. fails to create real products and services with a high market value in the global market, then U.S. wages will trend to the wage levels in lower-value producers. You can borrow and spend all you want, but if incomes are declining for structural reasons, along with assets deflating from credit bubbles, then you are shoveling sand to hold back the tide. Rising debt loads require rising incomes. Without rising incomes, rising debt leads to insolvency. That is "obvious," yet it is not something Keynesians can admit, lest their entire Project be revealed as intrinsically flawed. In the 1930s, the Federal government and the household held very modest levels of debt. Thus a borrow-and-spend frenzy to fund a global war (World War II) was possible because the borrowing began from a very low basis. Before the 1929 stock market crash, Federal regulation of the financial industry was light to non-existent. Thus a move as simple as guaranteeing savings deposits in banks (the FDIC) had enormous leverage because it filled a void. If additional regulation would have fixed the U.S. economy at a fundamental level, it would have already done so. It hasn't, and the reason is marginal returns. In the 1930s, tens of thousands of people were put to productive work for very modest sums of money, even when adjusted for inflation. Now, politically influential unions and private contractors would kill off any large-scale work projects, demanding instead that repairing roads, etc. go to private corporations seeking hefty profits and union labor which costs $100,000 or more per worker. This is how we reach the absurdity that the Federal Stimulus package has "saved" (supposedly) thousands of jobs at an average cost of $323,000 per job. That's the consequence of increasingly marginal returns. The Keynesian Idea worked well from a basis of near-zero government debt and public spending which was so modest in cost that every dollar was highly leveraged. Now consider these stories about the stimulus spending promoted so tirelessly and religiously by Keynesians: Stimulus Checkup - 100 Ridiculous Projects Funded by the American Recovery Act and Obama creates 640,329 jobs at a cost of $323,739.83 per job (both by Mish). So in an economy with 131 million jobs and 150 million workers, then a $787 billion Keynesian stimulus project has created or saved less than .5% of the nation's jobs. That is a horrendously marginal return. Lastly: the Keynesian Idea has failed because the Central State has taken over such a large share of developed nations' incomes and GDP. The U.S. government has borrowed and spent trillions of dollars in so-called "prosperity" supporting a global empire and various forms of crony capitalism/cartels, monopoly capital and protected State fiefdoms (prison guard unions, sick-care cartels, "defense" contractors, etc.) The amount of leverage offered by another trillion dollars or so for a State which spends $3.5 trillion is marginal. If "quantitative easing" was indeed the solution for what ails the U.S. economy and its parasitic, supremely politically powerful financial industry, then it would have already worked. 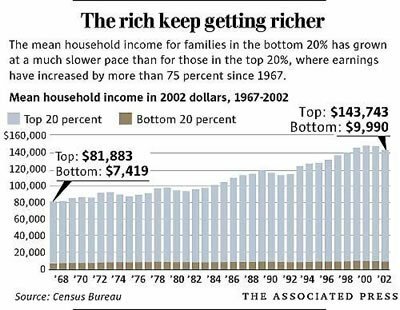 If lowering the taxes of the top 1% of households and dropping the tax rates on speculative income while leaving the rates on productive income quite high would have actually created widespread prosperity via the "trickle down" theory, then it would have done so already. It hasn't, so that scheme so dear to the hearts and pocketbooks of Republicrats has failed, completely and utterly. Income disparity has leaped and while the productive high-income earners pay most of the taxes, the unproductive financial parasites reaping speculative gains via gaming the system and fraud pay a mere 15% on their $600 million per year "earnings." The level of propaganda is so pervasive that few citizens seem to grasp how the two parties are indistinguishable at the level of global Empire and neoliberal Monopoly Capitalism. "Healthcare" may or may not be a "right," but the "healthcare reform" was about one thing and one thing only, and it wasn't healthcare for a nation of afflicted, addicted, media-marketing-addled "consumers": it was about retaining and extending the sick-care cartel's share of the national income. The global Empire has run for decade after decade on the premise that "it's not a very good war, but it's the only one we got." Democrats and Republicans alike have started and extended war after war in service of commercial, political and military Empire with largely unseen "soft" and "hard" power assets. Now that most Chinese youth think Kentucky Fried Chicken is Chinese, the Empire has already won the commanding heights via "soft power" and dollar hegemony. There is no need for a war when the Colonel has already occupied hearts, minds and pocketbooks. The idea that either of the Plutocracy's two political flavors will ever conceive of, much less enact, meaningful restrictions on the American Empire or its cartels, has failed. If either party had any "big ideas" that weren't just facsimilies of reform to divert and distract attention from the ever-increasing wealth and power of a small Elite served by a well-paid High Caste army of technocrats, then they would have done so. Thay haven't, so that idea has failed. The demographic realities of a shrinking workforce and rising cadre of retirees dooms the entire Social Welfare State idea. The conceit of the Social Welfare State--that the State can provide retirement and healthcare for 40% of its citizenry by heavily taxing the 40% who are working in taxpaying jobs (as opposed to the cash/no-tax economy) will be proven false. Proponents keep claiming that minor tweaking of parameters will make this idea work: extend retirement age by a few years, increase the tax a few points, etc. But what they don't factor in is the End of Work: End of Work, End of Affluence I: Cascading Job Losses (December 8, 2008) . The truth is that minus credit bubbles and expential expansions of credit to fuel consumption frenzies/addictions, the post-industrial U.S. economy has no need for 130 million (highly paid) workers. Just as we don't need any more houses (we have 19 million vacant ones) or malls or office towers, we also have no real work for people to do in these vacant malls and offices. As I have often noted, Twitter has about 250 employees, Facebook has about 1,200. Social media may be fun but it isn't going to generate millions of jobs. The entire Idea of a global Empire based on dollar hegemony feeding an endlessly expanding economy of consumption, extravagance and excess is bankrupt. The greatest systemic risk, therefore, is not an economic concept but a political one. (emphasis added-CHS) Systemic risk emerges when it appears that the political and legal protections given to economic actors, and particularly to members of the economic elite, have been used to subvert the intent of the system. In other words, the crisis occurs when it appears that the economic elite used the law's allocation of risk to enrich themselves in ways that undermined the wealth of the nation. Put another way, the crisis occurs when it appears that the financial elite used the politico-legal structure to enrich themselves through systematically imprudent behavior while those engaged in prudent behavior were harmed, with the political elite apparently taking no action to protect the victims. Now we are at the heart of the matter, and the reason why I wrote Survival+. A political-financial system reaches its terminal stages by investing more and more to extract increasingly marginal returns. By basing Survival+ on the simple query, cui bono--to whose benefit?-- I am attempting to describe a dynamic which I consider ontological, that is, inherent to all human social structures: as the system's foundations crumble via increasingly marginal returns, the system/Empire's Power Elites face a stark choice: either institute real reforms which reduce the Elite and its constituencies' share of the Imperial income, or launch a marketing/propaganda drive to create the illusion of reform. In this terminal stage, the Power Elites erect one facade and facsimile of reform after another, each one heralded as the "fix" the nation-state or Empire so desperately needs to return to "the good old days" of seemingly unlimited power and prosperity. All are shams, carefully designed and marketed simulacra of actual change. These monumental efforts at creating the illusion of reform have an immediate payoff: the Power Elites remain solidly in power, and their share of the nation's income and wealth actually increases as the majority of citizens sink deeper into various stages of poverty. Eventually, of course, the system comes apart at the seams, because facades, illusions and sham reforms have not actually fixed any of the marginal returns or fundamental problems eroding the system/Empire. Eventually the State/Empire collapses. Do we cling so tightly to these ideologically appealing, quasi-religious failed ideas because we fear not having any replacement ideas? Or do we cling to these failed ideas because we fear the decline of the Power Elites and the Empire? Or are we suffering from a grand failure of imagination, as I have suggested here before? Questioning "Progress" and the Poverty of our Imagination (June 11, 2010) . I hope it is the latter. Thank you, readers and contributors: As a result of your readership and support, oftwominds.com is now a Page Rank 6 site. This may not seem like a big deal, but the Google Page Rank is a basically impossible to "game" measure of influence: not just the number of visitors or links, but a measure of link-ins, scope and reach of content, etc. I am honored and humbled to reach PR 6. Special thanks to Mary for suggesting the cool "Page Rank history" graphic in the right sidebar. Thank you, Timothy S. ($50), for your wondrously generous donation to the site -- I am greatly honored by your continuing support and readership. Thank you, Andy V. ($10), for your much-appreciated generous contribution to the site -- I am greatly honored by your ongoing support and readership.